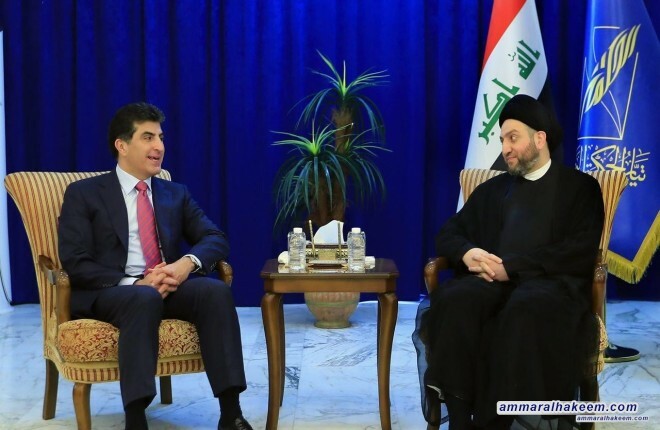 Head of the Al-Hikma National Movement, Sayyid Ammar al-Hakim, in his office in Baghdad received the head of the Kurdistan Regional Government, Mr. Nechirvan Barzani, and discussed with him forming the government and the upcoming constitutional entitlements. 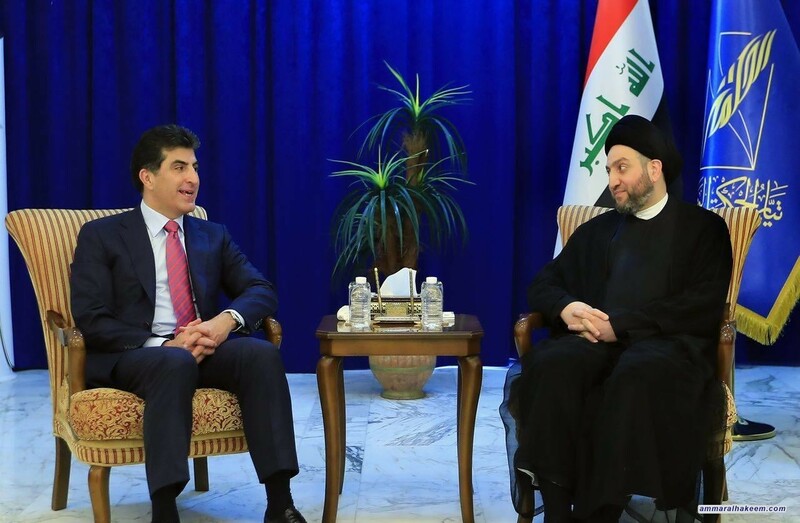 His eminence stressed the importance of maintaining relations with the Kurdistan region, evoking public interest and the national interest, indicated that previous experiences proved that everyone needs everyone, called to favour national interest over private interests and limited interests. His eminence stressed the importance of resolving candidates for the President position and not to exceed the constitutional and legal timing, pointed the need to form a strong government capable of assuming responsibilities, achieve the aspirations of the Iraqi people and provide services.